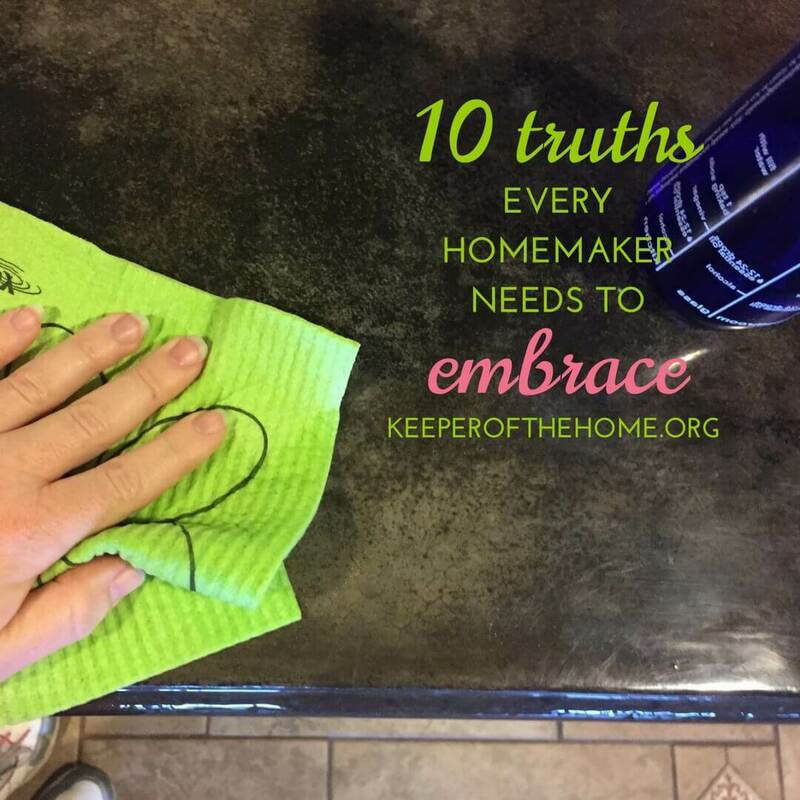 We might follow drastically different cleaning routines and meal plans, but I think there are a few widely applicable homemaking truths all of us who wear that hat can all rally around. 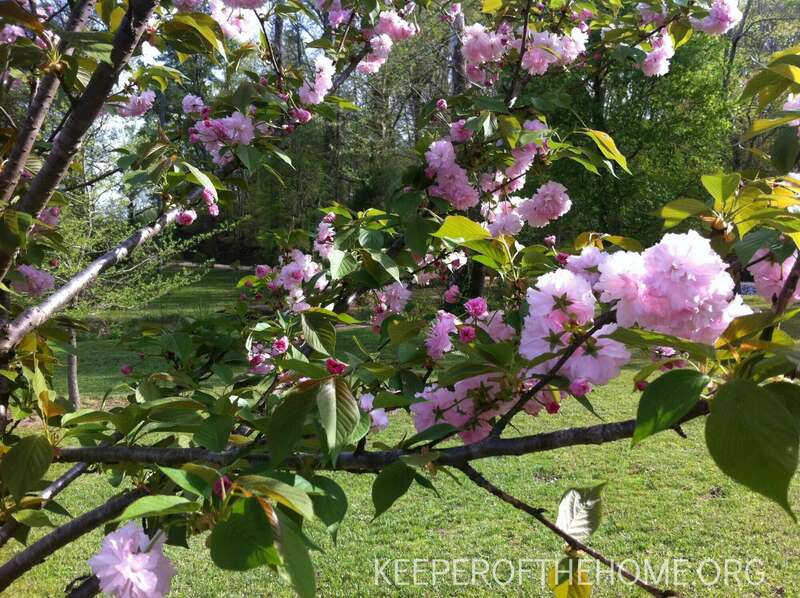 When I was brainstorming for this post, I tried to think about truths that are relevant for homemakers in any season of life, whether you’re just starting out with a place of your own or you’re an empty nester after raising half a dozen kids. I know I didn’t cover everything here, but that’s okay. We want to hear your input in the comments! 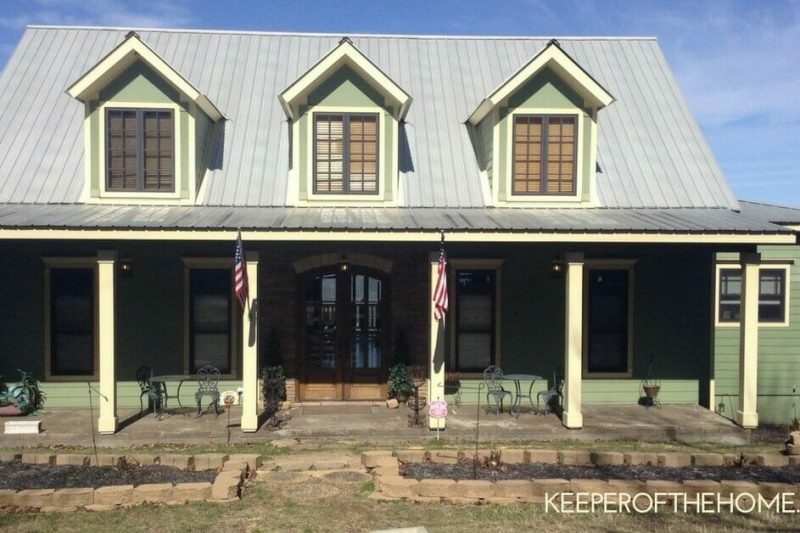 This blog is meant to foster community; together we can learn to keep our homes in a way that brings life to ourselves and others. Hold on to these truths and apply them in your daily life. That’s what I’m doing, by God’s grace! They’ll give you focus and purpose and direction–which is something I think we need when we’re caught up in the flurry of everyday life. Take pride in your work by getting dressed every day, being thorough in each task, and thanking God that He’s given you the responsibility of building a beautiful home. Having a roof over your head doesn’t magically make your house a nurturing and peaceful haven. Dream about what you want your home to be like. Plan for it. Set goals. Work day in and day out to craft the home you envision. Reflect your Maker’s creativity in every aspect of your home-making. Don’t wait to step into your role as homemaker. Bloom wherever you’re planted, whether that’s in a tiny apartment, a three-month temporary living situation, or your actual dream house. You might not have the permission or the funds to remodel a temporary apartment, but you can still personalize it. 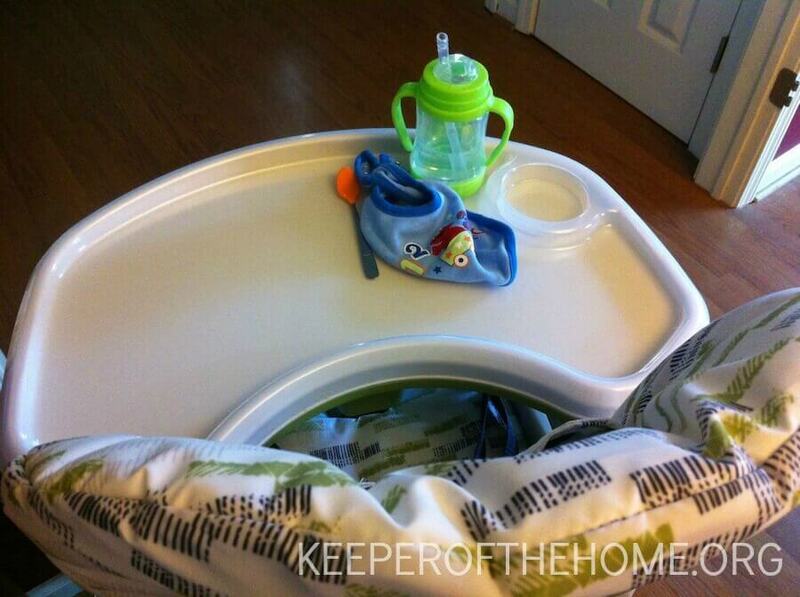 You can even make a home when you’re on the road with your family! Think of simple things, like bringing along a pretty tablecloth to use in the hotel, or engaging in a familiar routine at your campsite, such as family devotions after dinner. Create a home-like atmosphere wherever you go. We all have a sense of wanderlust–of longing for more–that can only find fulfillment in heaven. Heaven is our ultimate and perfect home, but we can create a reflection of it here on earth, within our own walls. We can and should create a place of security, rest, joy, and adventure for our families. Many times we’ll miss the mark (just like our marriages don’t always reflect Christ and the Church), but it gives us a standard that will never become inadequate. As Marmee tells Meg in the novel Little Women, “you are the sunshine maker of your family, and if you get dismal there is no fair weather.” Choose joy even especially on the hard days. Your family will take their cues from you, and you’ll find that your children’s mood often reflects your own. 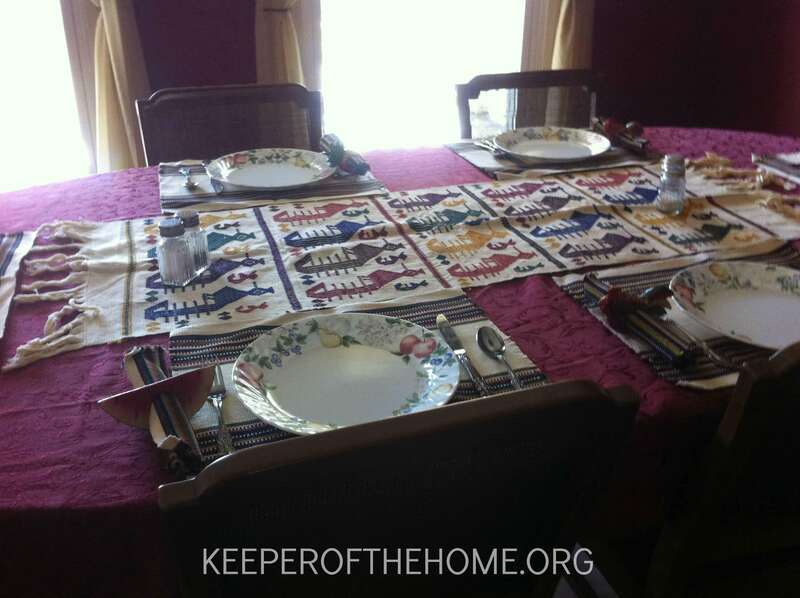 Sometimes we complain about drudgery, but I’ve come to see the mundane tasks of everyday homemaking as a gift. The mundane is the sweet spot–the simple, humming along day to day that makes our family’s world go round. Live deeply in all of it. Enjoy the feeling of clean carpet under your toes when you vacuum, iridescent bubbles in the sink, and toddler smiles through layers of smeared yogurt. My favorite book for recognizing beauty in the mundane is One Thousands Gifts by Ann Voskamp. Limber up and get flexible, because as a homemaker you can expect constant change! Your husband is going to switch jobs, your kids are going to rip through stages in the blink of an eye, and your family culture is going to evolve with each passing season. I truly believe that getting rid of junk will make you a better homemaker. Don’t underestimate the effect that clutter has on your time, your family, and your mental state. You live with your stuff day in and day out. You clean it, sort it, store it, break it. Dig deep and figure out why you keep what you keep, and then start decluttering your home one zone at a time. If you’re interested, my book walks you through the process in a thorough and satisfying way. Every member of your household needs to be heard–and should learn to listen. The flow of conversation will help your home to run more smoothly because you’re more aware of each other’s expectations, needs, and priorities. As chief homemaker, you can facilitate conversation by prioritizing family meals, having an evening chat before bed, or talking a walk to talk and reconnect. Homemaking is so much more than cleaning and cooking; having real conversations with the people you live with makes home a safe and natural place for people to be themselves. I see constant reminders from blogs, churches, and even advertisements that nobody is perfect–and we just need to cut ourselves some slack. Let me push back a little and say: don’t cut yourself too much slack. Don’t ever let your humanity be an excuse for not reaching for the divine. Be diligent about improving yourself and your homemaking. Perfection isn’t attainable, but excellence is. 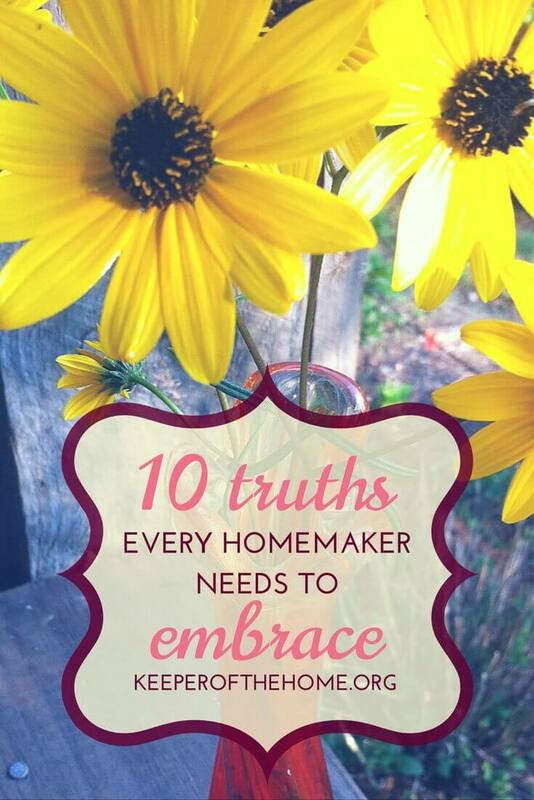 What are some key homemaking truths you embrace? All images above courtesy of Richly Rooted. Affiliate links included in this post, with thanks for your support in helping us make this content available through your support. Next Post: Need Energy? Trust the Beauty of Solitude! Enjoyable and soothing read .